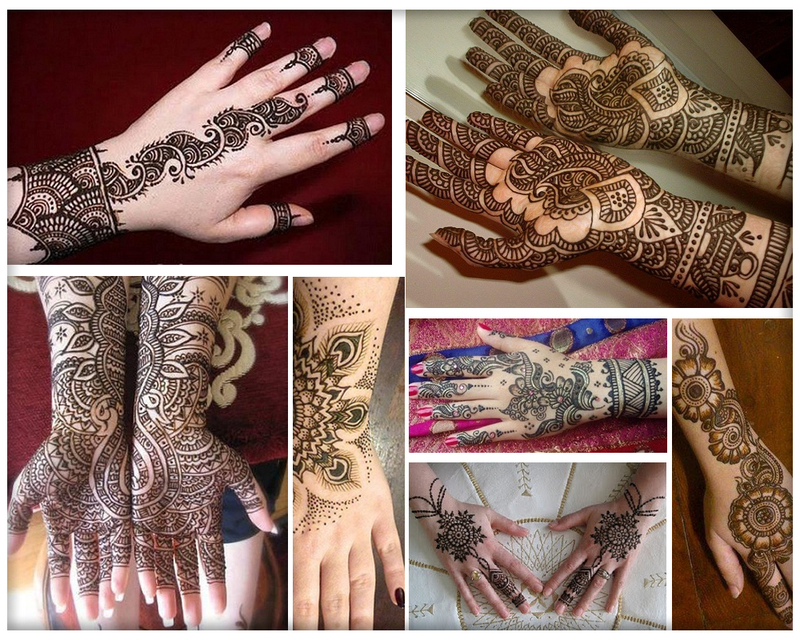 This article feature easy white henna designs images and video tutorials weddings, Eid and Christmas celebrations with special guide about how to make white henna cones at home. 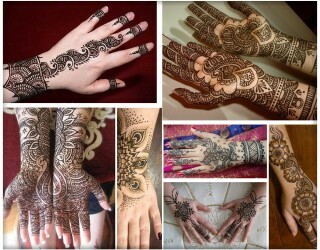 White henna art is contemporary body decorating trend like traditional mehndi designing. 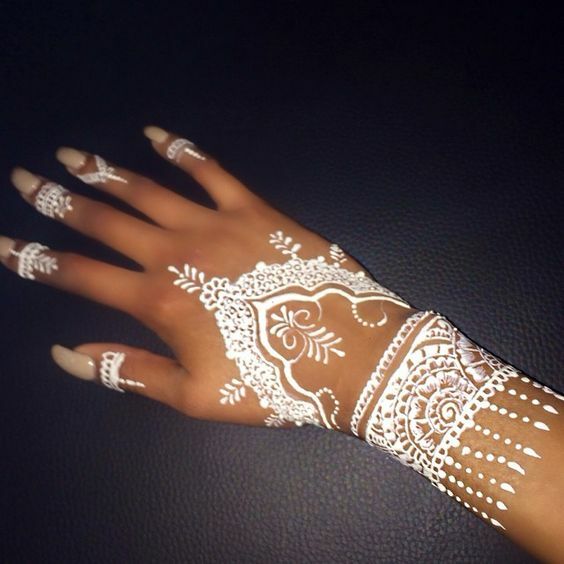 You might have see many white henna designing pictures on Instagram and pintrest like me so I thought to write post about easy white henna designs 2017 for every occasion. 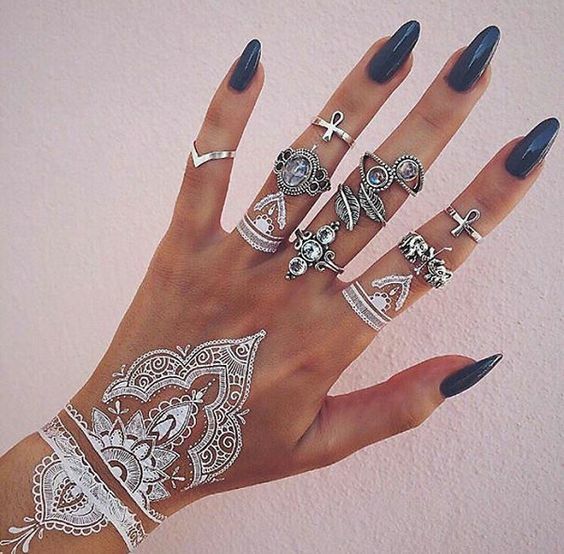 Adoring hands, arm and feet is common in Asian, Arabic and Muslim countries and now a days around the whole world women love to use henna to decorate body parts with henna tattoos and different mehndi designs. 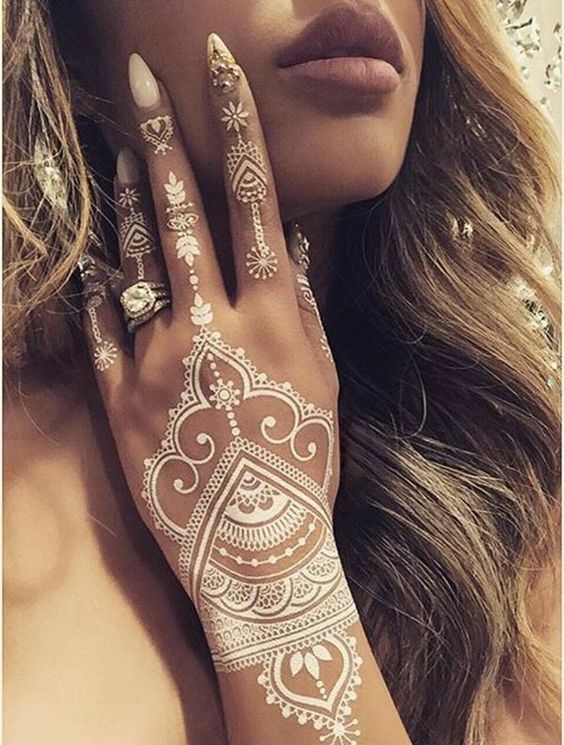 These days white henna is also available as substitute for traditional mehndi that could be used for weddings, eid and even for parties to embellish hands, feet, arms, shoulder or other parts of the body. 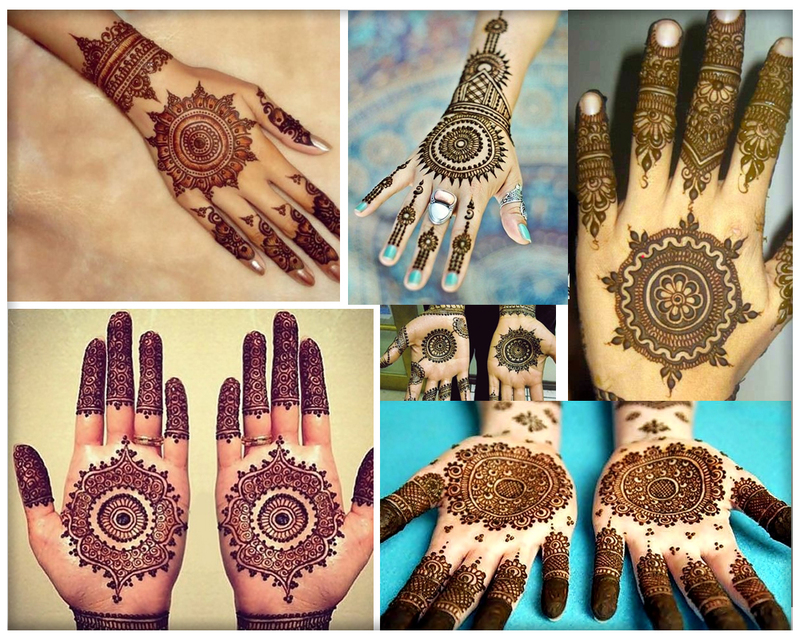 In Pakistan white mehndi cones are not yet available to solve this problem I am sharing how to make whit henna at home so you can have white mehndi for adoring hands and other parts of body. 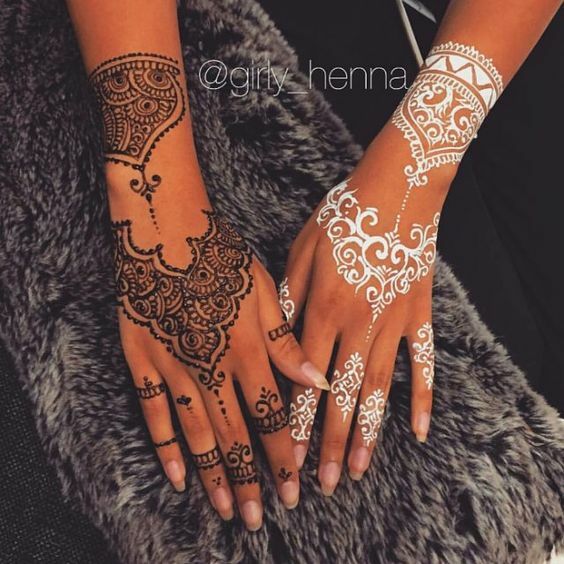 As white henna is cosmetic product it lasts for 24 hours if water proof ingredients are used to make white mehndi and leaves no stain after peeling, unlike traditional natural mehndi that leaves reddish brown stain for weeks. 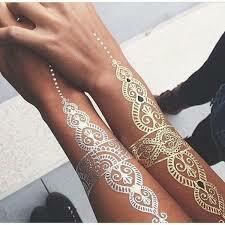 White henna is could be used if you do note want paint body in a traditional way. 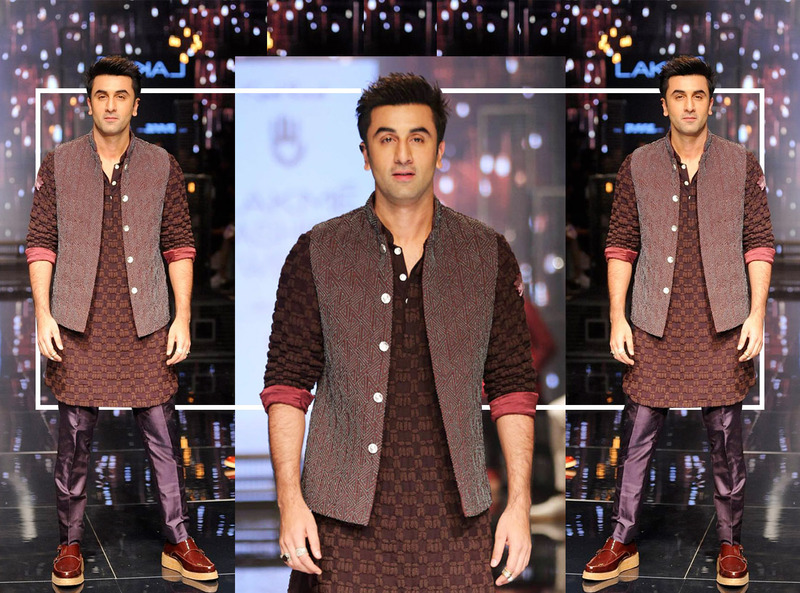 Let your imagination follow this latest white mehndi trend to look stunning at any party, eid festival or wedding. 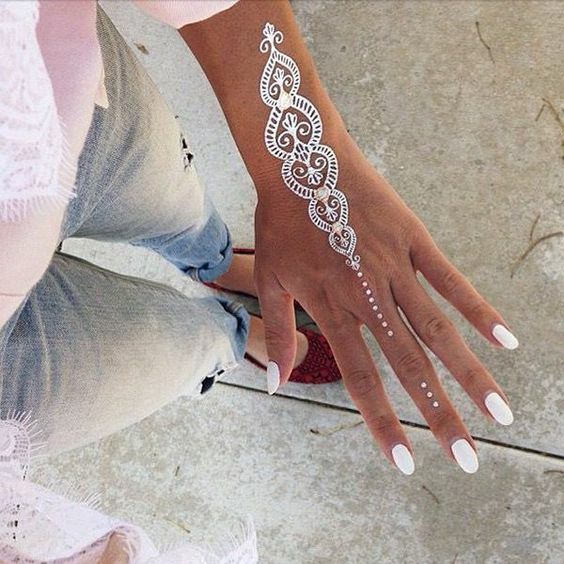 How To Make White Henna? How to make white henna?Cut the zip lock bag and roll it along to make a cone and seal it with scotch tape to avoid leakage. 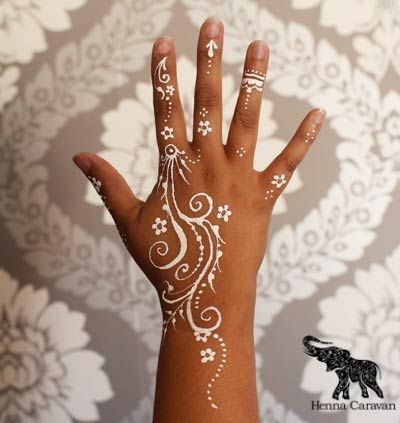 For making white henna add two table spoon of cream adhesive and one table spoon of white body paint, mix it well fill it in the cone and tape it well. 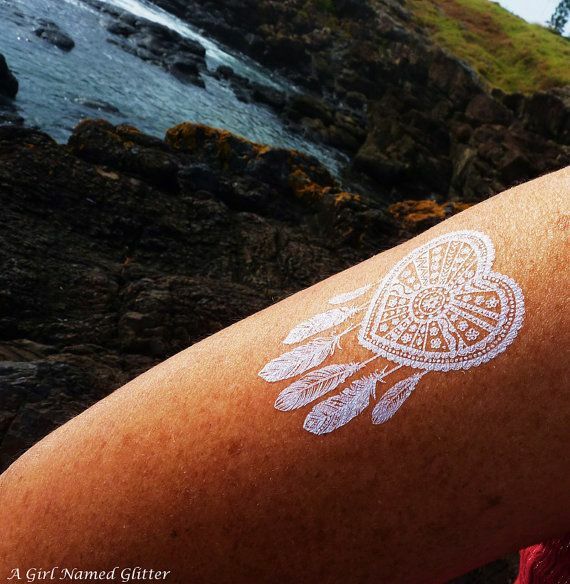 Now white henna cone is ready to adore body parts. 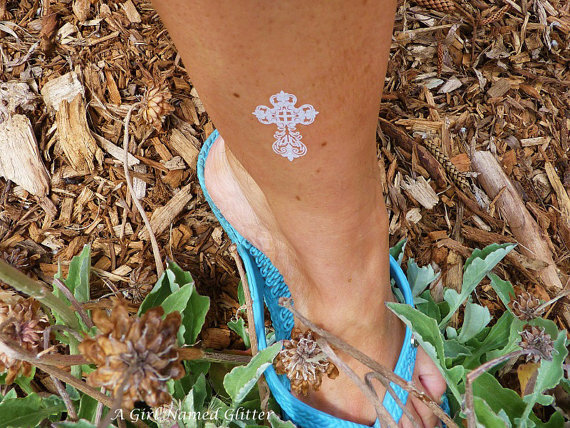 Remember white henna cone lasts for three to four days. For making easy white henna DIY with only two ingredients watch the video tutorial by Abeerie. 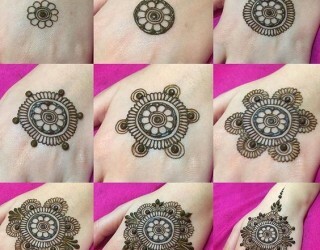 Also check out, Simple Arabic Mehndi Designs Step by Step and Gol Tikki Mehndi Designs. 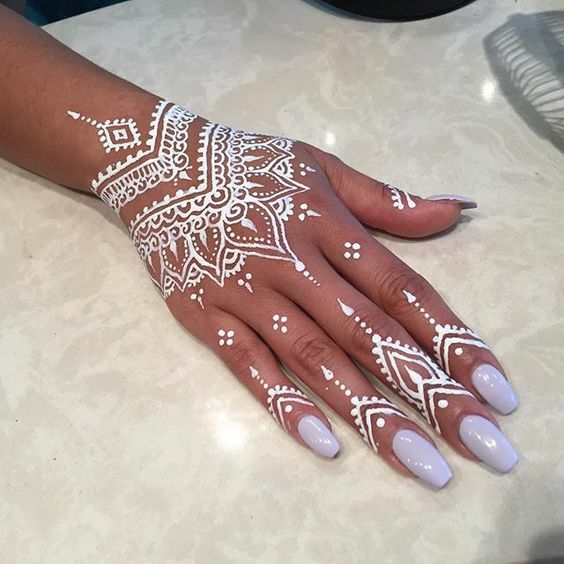 White henna designs for weddings: If you do not want to look traditional instead want to achieve contemporary bridal looks than white henna designing is the rightest way to adore hands, arms, feet, shoulder neck. Watch here a video tutorial and pictures about bridal white henna mehndi design video tutorial. 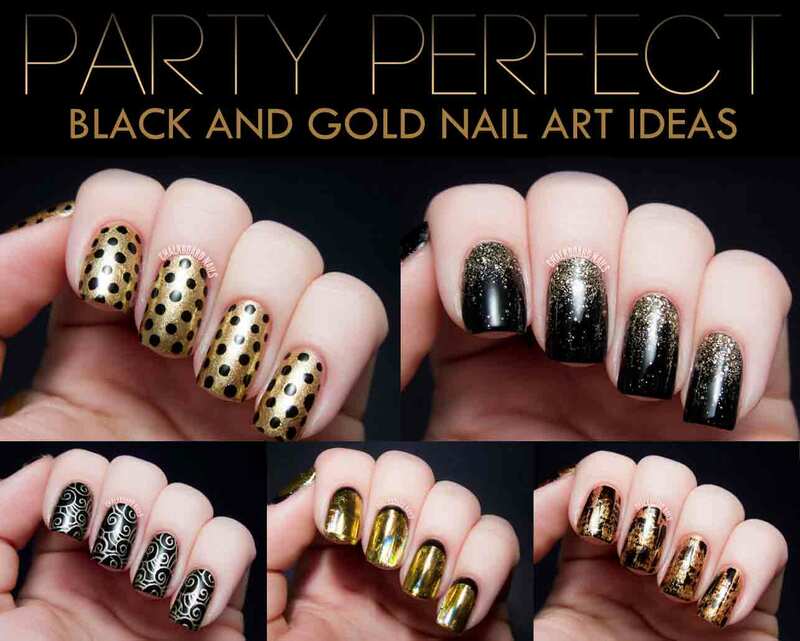 Also see wedding nail art designs for brides. 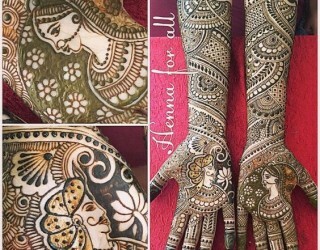 White mehndi designs for eid: Eid is such an occasion when every Muslim girl or women love to embellish hands or other body parts with mehndi. 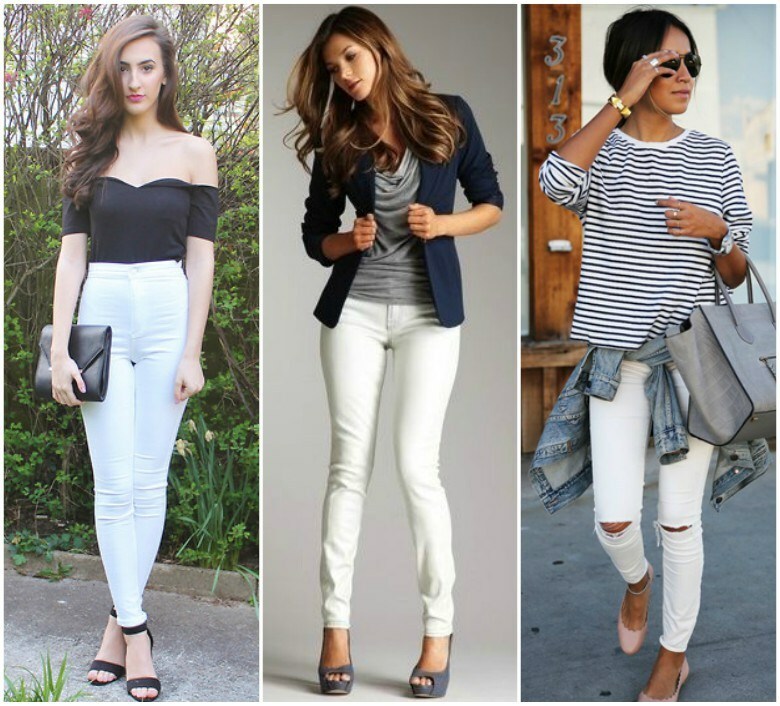 This eid you can also follow white henna latest trend for celebrating eid festivity. Here you can watch how to apply easy simple eid white henna design for beginners by mehndi artist Hira to make eid more exciting. 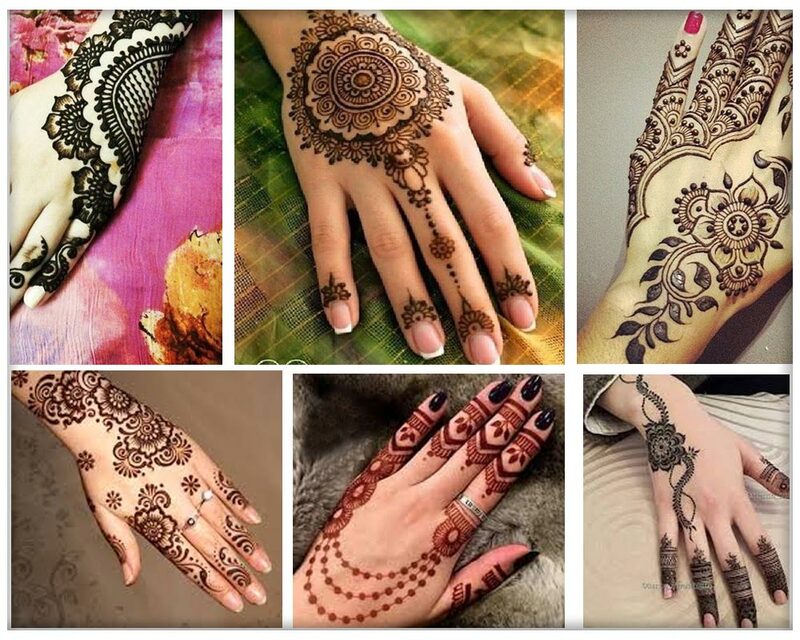 Also see simple arabic mehndi designs step by step tutorials, latest eid makeup ideas, eid hairstyles step by step, and best nail arts designs for eid to celebrate eid inn full spirit. 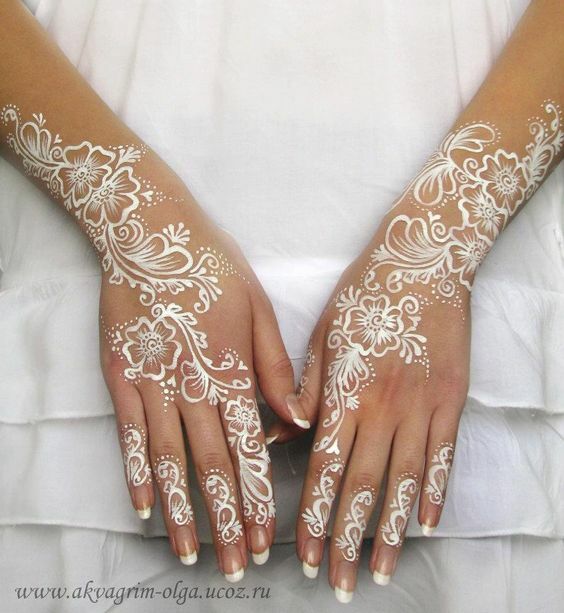 White mehndi for Christmas: Beautiful white henna tattoo on hand, arm or feet can make your Christmas day superb day. 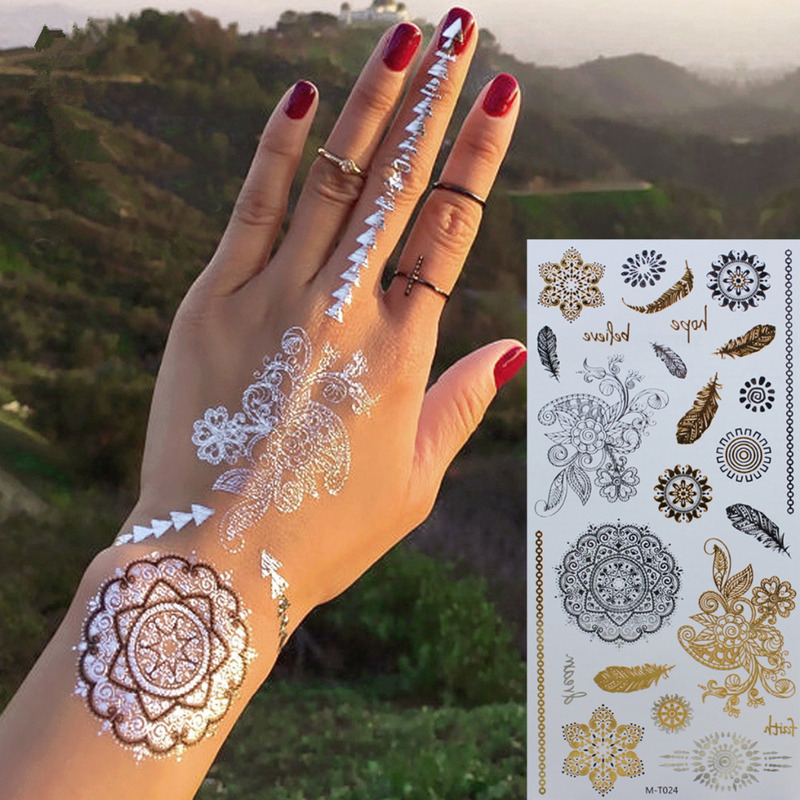 Try trendy white henna designs for Christmas and holiday season like snow flake, dream catcher, feathers looks super gorgeous for festive celebrations. 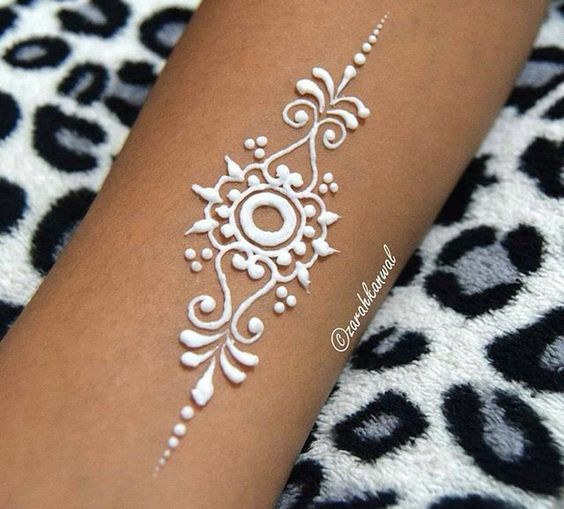 Watch below how to apply winter snow flake white henna designs video tutorial.